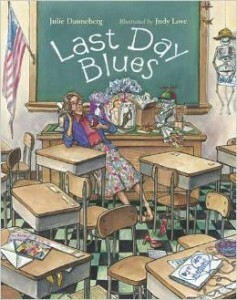 The end of the school year is a special time. It’s brimming with excitement and promise, while also garnering reflection over the year that passed. 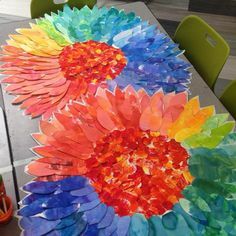 When this time rolls around teachers are mostly done with their core curriculum and find themselves with more time to try new and creative lesson ideas they couldn’t otherwise do. However, this time shouldn’t be squandered or eagerly passed, there are really useful lessons to be had. 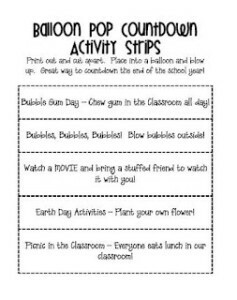 Here are 8 amazing end of the year activities every teacher must try! 1. Go Out with A Bang… or a pop? 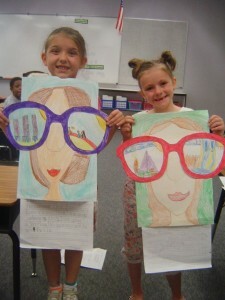 Leave a lasting impression of your creativity with your students. 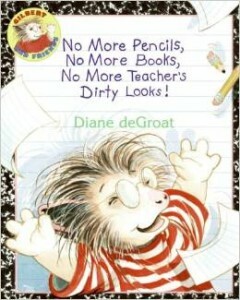 Make the last few weeks of school something to be remembered and longed for (is this possible?). I love the idea below. 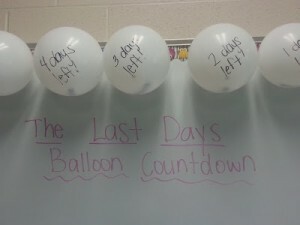 The idea is: to have a balloon for each day left of school. 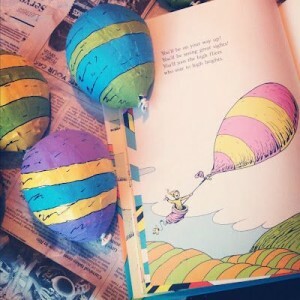 Every day a balloon is popped only to reveal a fun activity for the class to do. 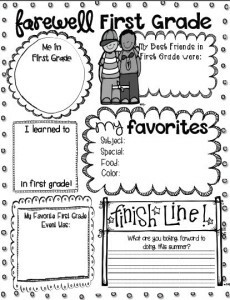 Customize the activities to your liking and voila, you have a creative memory to leave your students with. 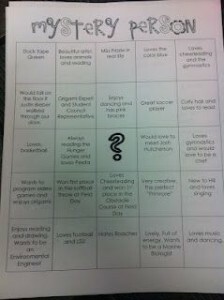 This is a great activity, because it will benefit you next year as well. 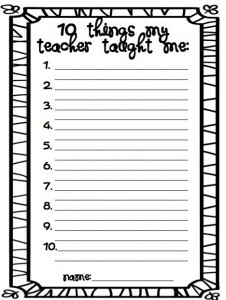 Have your students reflect on their year by writing to next year’s class. I’ve used student letters during open houses for parents to see, and obviously I’ve shared them with my future students. It’s a great way to end/begin your year. As you’re wrapping up the year, it’s an incredible opportunity for you to be on the receiving end of a report card (of sorts). Conduct mini surveys to see what you were most successful in, and what to improve on for next year. 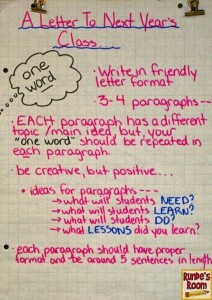 For example: did your students love your creative lesson planning, but feel too overwhelmed with homework? The best of us need to improve, and this is a great way to do it. 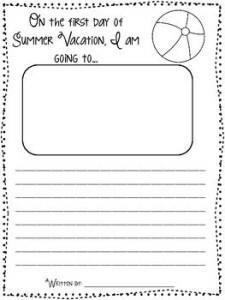 Allow your students a chance to reflect on all their accomplishments throughout the year. Which friends did they make, what lessons did they learn and what new experiences did they encounter? All of these are memories worth revisiting. 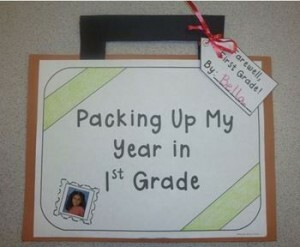 Here are some ways to encourage your students to reminisce about their year. 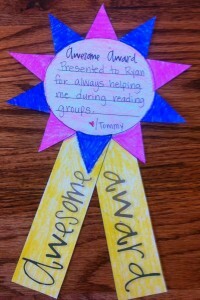 Since you’re not likely to be grading, it’s much easier to create team efforts that are very informal. 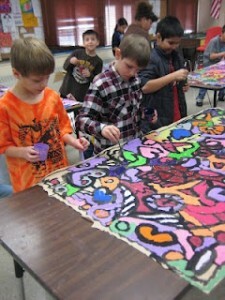 Allow for collaborative arts and crafts to get your student having fun while working together. 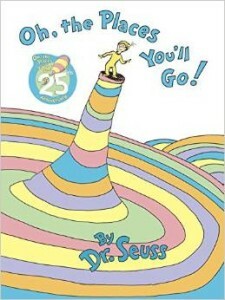 Because who doesn’t love a good read aloud. 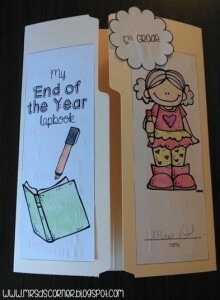 What are your go-to end of the year activities? Great post ! I love #7!